The flow of each “Getting Curious” conversation echoes the diversity of its topics. In fact, perhaps the podcast’s greatest strength is the ease with which it straddles the line between playful and informative, factual, and deeply personal. This largely has to do, I think, with Van Ness himself. He has all of the same charm and enthusiasm and catch phrases that fans of “Queer Eye” have come to associate with him, but it is also abundantly clear that Van Ness is both exceedingly prepared for each conversation and completely ready (even eager) to be totally vulnerable with his guests and, by extension, his listeners. He presents complex analyses and well-researched questions on an endlessly diverse array of topics with the same excited, chit-chatty tone that he might use while catching up with a good friend. In the same breath, he often brings in his own life, ranging from his own history with eating disorders to all of his many references to weed, creating an intimacy in each conversation regardless of the topic or how well he knows the guest, that is difficult to replicate or fake. Van Ness’ enthusiasm and eagerness to share of himself is the beating heart of the podcast, but it can sometimes feel a little jarring. Particularly in episodes that cover a heavy or detail-intensive topic, his light, almost gossipy tone can feel out of place and his frequent interjections can stand in the way of a clear understanding of more complex ideas that the guest is trying to communicate. Sometimes, in class, you just want to hear what the teacher is saying, even when your fun friend is sitting right next to you, spouting funny, engaging personal anecdotes and exclamations of delight. For the most part, however, “Getting Curious” benefits profoundly from its host. Van Ness’ warm, attentive, funny approach to podcasting is a welcome departure from many other podcasts where the listener is clearly there only to learn from the expertise of the (often male) hosts. 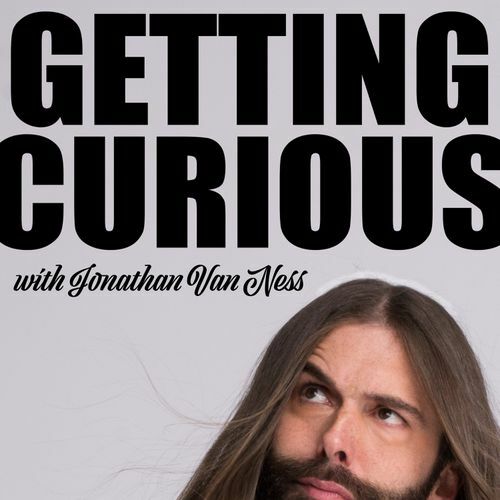 Listeners of “Getting Curious” learn alongside Van Ness, who seems to revel in all that he doesn’t know (which is, of course, pretty much the podcast’s whole premise). Learning with the host, in addition to the playful approach Van Ness takes in discussing these new topics, creates a uniquely engaging learning environment. This is only bolstered by the obvious delight Van Ness takes in mining his guests’ expertise, which encourages the listener to do the same. “Getting Curious” is a personal show. This is clear even from the title, which explicitly includes Van Ness’ name, and reverberates throughout the podcast—in the topics of each episode, chosen according to Van Ness’ own curiosities; in the way he ties the topics to his own life; and in the guests themselves (many of whom are his friends or clients—or even his mom). And, perhaps counterintuitively, it is in its personal nature that it finds broad appeal. Van Ness chooses a wide range of engaging, unexpected topics and approaches each one with so much love and attention that it is difficult not to fall under the spell of this easy-to-listen-to, easy-to-binge podcast. Plus, it’s great for the walk to and from the Quad. You can take my word for it, or you can try it out for yourself—if you’re curious. Dr. Van Dyke on "The Ministry"
Rev. Dr. Henry Van Dyke delivered a lecture upon "The Ministry" last evening in the Living Room of the Union.